← Abbey’s Favorite Counting/Number Apps!! This has opened up a whole new world for Abbey! Now, Pictello is even BETTER! Ok, I’ve posted about Pictello before, how we use this app for social stories, teaching Abbey what to expect, what to do in situations. So, we’ve got stories about Going to the Dentist, for example. We also love Pictello because it has opened up a new world for Abbey. She figured out that she loves to look at pics of herself and her family doing things. So, I make stories about our trips, about new things she does and experiences, so she can look at it all again! Well, yes, Pictello just got even better! Not only is it very simple to use, for myself and for Abbey…but now, YES, you can ADD VIDEOS!! Wow, to see Abbey’s face, the first time she opened up one of her stories, clicked on a page and it was a video….priceless! She started off with a huge grin and then was just giddy! It adds another whole dimension! So, now to think about ways we can use this new feature to help her learn and grow…. 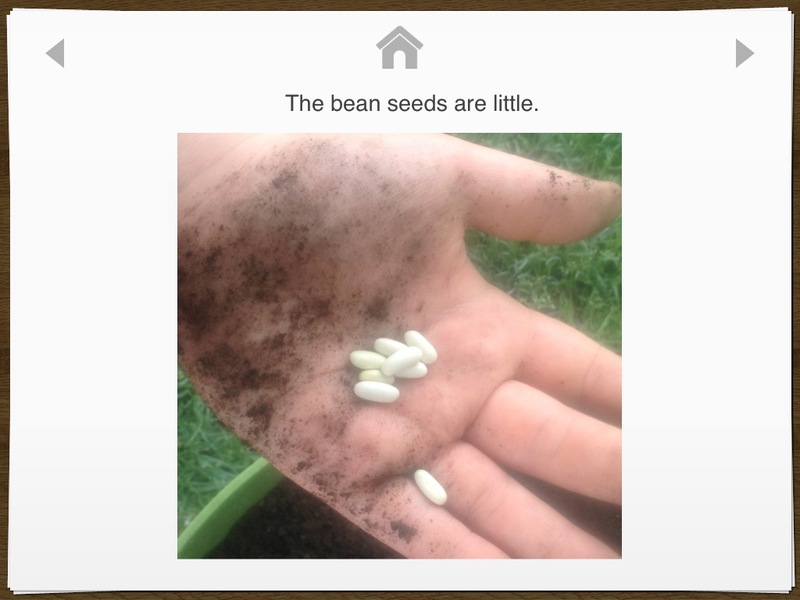 Here’s a pdf, Growing Beans, of one short, simple story I made using Pictello, of us planting bean seeds. I hope to use it again next year and see what she can do without my help! The page in the story without words, is actually a video,:) If you have Pictello, we can share stories! I can send you a Pictello link of a story that you can put on your Pictello, to look at and use, if you’d like. :) Just let me know! That is so cool! =) So many new things! Wow, that’s so cool that she is benefiting so much from tech!